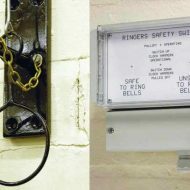 We supply a range of Bell Chiming and Bell Sound products for use on new and existing bell installations. We also offer full installation and bell servicing of your bells and bell clock tower. 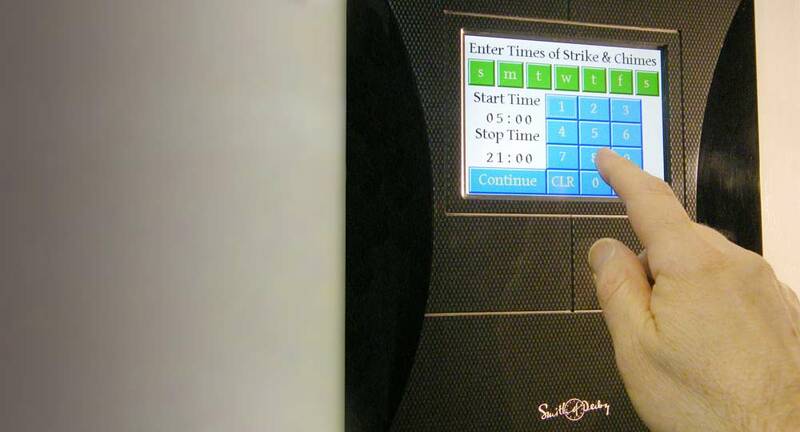 Electro-mechanical hammers can be activated by a micro-switch fitted to a clock movement or via our Smith of Derby programmable control system. 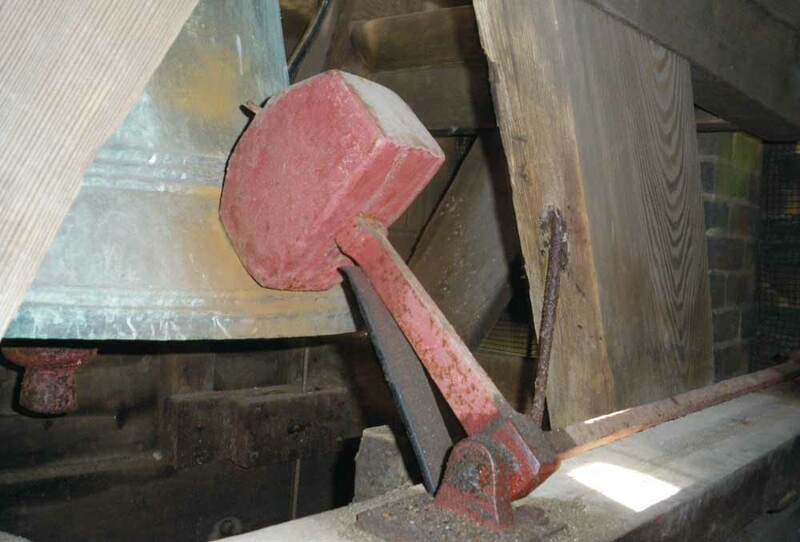 Internal electro-magnetic hammers have an action similar to an internal bell clapper and are used where a bell is fixed in position. Internal bell hammers are ideally suited to use in an outdoor location as the bell partially conceals the hammer unit, acting as a protective cover. 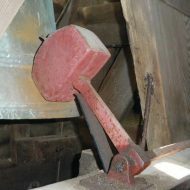 External hammers have an action similar to a traditional mechanically linked hammer. They are ideally suited for use on both static and swinging bells, whether the latter be either partial or complete rotation. 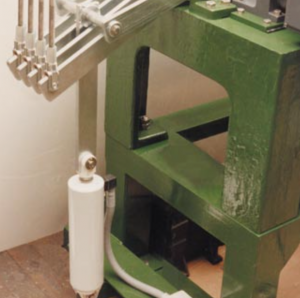 Electro-mechanical toller units are located remote from bell hammers, usually alongside or in place of an existing clock movement. Their function is identical to the lever action of the strike or chime side of a weight driven clock, to provide the action for tolling, striking and chiming. 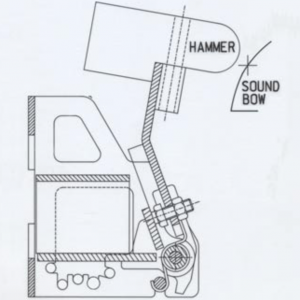 Action is transmitted via mechanical linkage to the bell hammer. 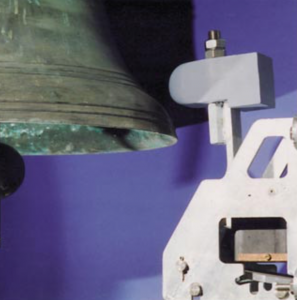 Programmable operation of striking, chiming and angelus on traditional bells. Operation identical to a weight driven clock. 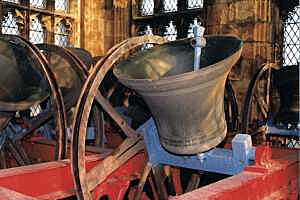 Will give new life to existing bells, for instance, where a weight driven clock or carillon is no longer operational. This is the simplest form of clock strike/chime silencing and comprises a pull ring and linkage which is attached to the clock hammer connecting wires. 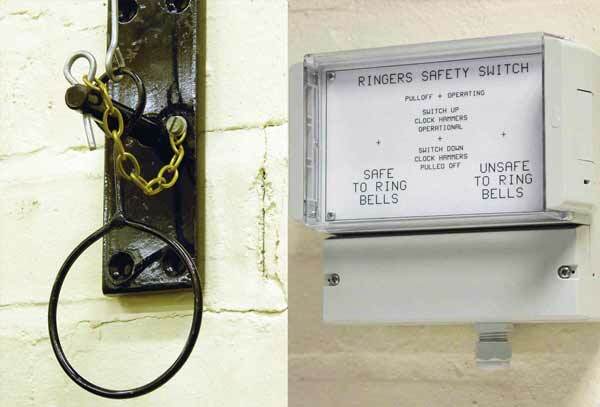 Pulling the ring and locking it with the pin ensures that the clock hammers are kept clear of the bells during any clock strike or chime sequence, enabling safe bell practice and change ringing. An electrical actuator (APO series) is installed with linkage to the clock mechanism hammer levers. The system is controlled by a programmable timer. According to the programme, the clock hammers at the bells will be pulled clear to effectively silence the clock strike/ clock chime. These systems have a fully programmable controller which includes night silencing for the clock strike and chime. Our digital chiming Bell Sound System recreates the sound of traditional bells so faithfully that you would believe they were real. 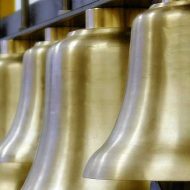 Authentic bell harmonics and sound characteristics make the system a perfect alternative to real bells, particularly where there are cost, space and structural limitations. The 30W output system is designed for interior settings or limited space applications such as within a pillar clock or roof turret. The Bell Sound System is equally at home in large public buildings, leisure developments, churches and civil wedding venues. It can be used with or without a clock dial. Our electronic bell chiming systems also handle night silencing of church bells for the peace and comfort of your community. Fully programmable for wedding peals, change ringing, chimes, tunes, night silencing and special events. Smith of Derby can step in to replace your current traditional bells with an automated bell chiming system. 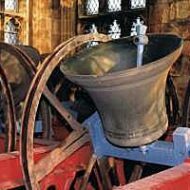 Our bell chiming systems can be installed in traditional church clock tower settings, but aren’t confined to this use. Installation in public clock towers and municipal buildings such as town halls can bring an authoritative presence to the public clock in your community. Even if you don’t have any existing traditional bells we can help. 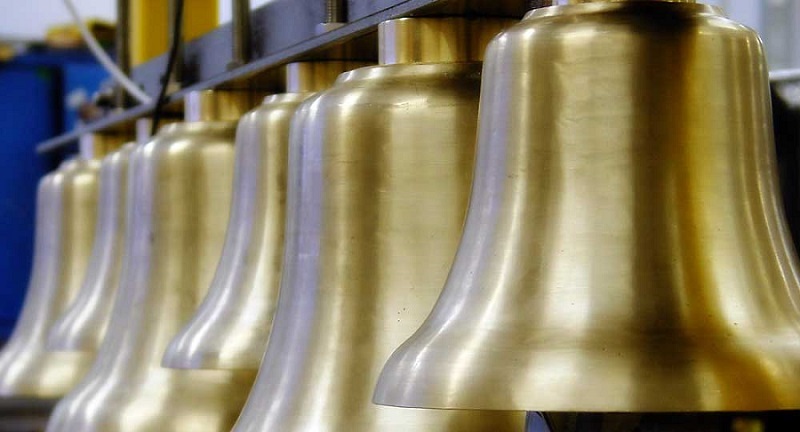 Our electronic bell chiming systems reproduce sound with the subtle harmonic resonance of original bells. You can play one bell note for the Angelus or up to 15 bell notes for hymns and wedding peals. We provide precision controlled hammer operation to run tolling programmes. There are many options available including single toll, service tolling, regina coeli and funeral slow toll. For those church and public buildings under pressure to silence their bells at night, our electronically controlled bell programmes are flexible enough to introduce night silencing for your community. The sound of bells enhances any setting, including a City Hall, a modern Shopping Centre or a landscaped area. The use of bells in these environments always creates a friendly and welcoming atmosphere.